Posted by V the K at 3:02 pm - January 10, 2015. This guy is going to have to go into the French equivalent of the Witness Protection Program when his fellow Mohammedans find out that he hid Jewish customers in the freezer of his store to save them from one of the Charlie Hebdo terrorists. 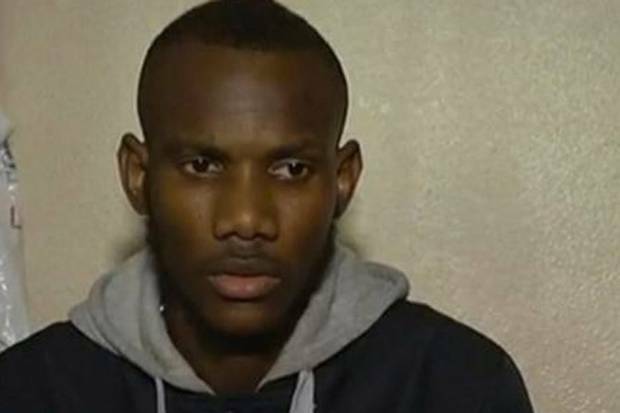 Lassana Bathily, originally from Mali in west Africa, is said to have shepherded terrified customers to safety in a chiller as the Islamist gunman took hold of the Hyper Cacher supermarket in Porte de Vincennes, Paris, yesterday. Coulibaly executed four of the 19 hostages before police stormed the building and ended the terror, killing the gunman as he attempted to flee. Posted by V the K at 8:43 am - January 10, 2015. So, it’s OK for feminists to claim that all men are morally responsible for the rapes committed by a tiny number of men. It is also OK to claim that all white people have white privilege and all white people owe all black people reparations for slavery. But to suggest all Muslims should take a moral stand against terrorism is… according to those same people… racist. SRSLY, how does that work? In the wake of the Charlie Hebdo attacks, the primary concern of left-wing media was not that violent Mohammedans would commit more acts of violence against innocent people, but that “anti-Islamic” sentiment might increase and, even more terrible, right-wing political parties in Europe might benefit! The strike against the satirical newspaper Charlie Hebdo seems certain to accelerate the growth of anti-Islamic sentiment in Europe. The key danger the Times is worried about, it would seem, is that Europe might reverse course on its march to demographic and cultural oblivion.